Welcome to part four of this multi-part series covering all thirty of your Universal Human Rights instilled by the United Nations. In our last segment, we finished off with Article 15 which covered matters pertaining to citizenship. 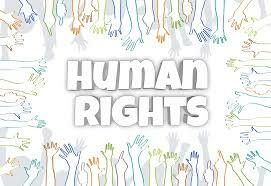 Let us pick up with Article 16 so that you can learn about some more of these human rights! Lastly, the family unit itself is fundamental to the state and to society and is therefore protected under law by the state. No one can be denied the right to own property. Article 18: This article states that everyone has the right to think their own thoughts, and have freedom of thought and expression of those thoughts. Additionally, it ensures that people have the freedom to practice their religion, as well as change their religious beliefs when they see fit. This also applies to being able to practice a religion both publically and privately. Article 19: Similar to article 18, this article states that people have the freedom of expression in public and private settings. They can also practice and express this freedom without interference from others.